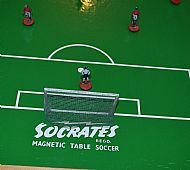 Another version of the Socrates game by Newfooty. This one is later than the original one on this site. Here is an alternate version with card pitch. 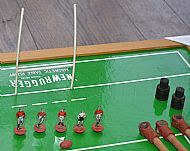 Incredibly rare and short lived version of the game which includes a double sided pitch and a second game called Newrugger. 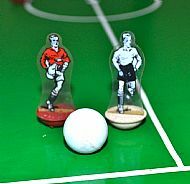 Both games are five-a-side format and use the same players and controllers. 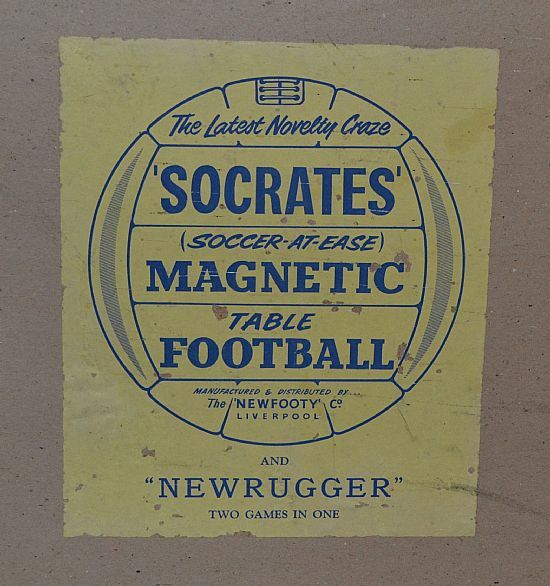 Unbelievably rare boxed game from Newfooty. 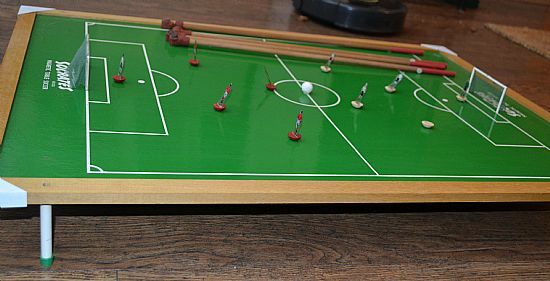 Large double sided pitch with wooden surround in labelled box. 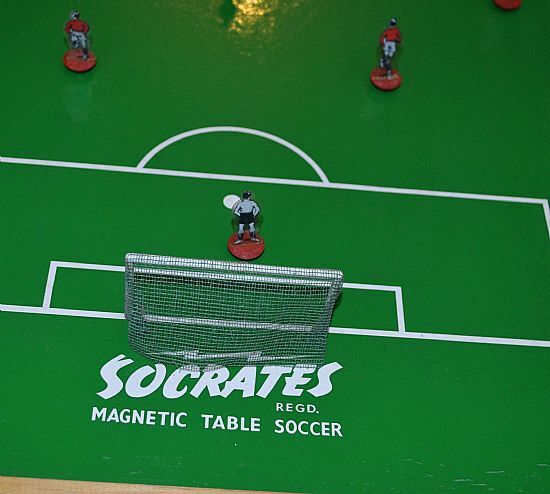 A complete boxed set of players, goals, balls, legs, rules, range leaflet, wands. 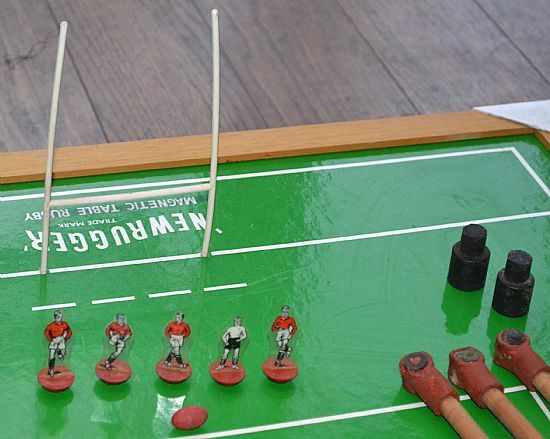 No pitch just the complete set to play both rugby and football. 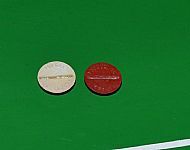 This later version does not have the striped pitch and the bases are different to the earlier version. 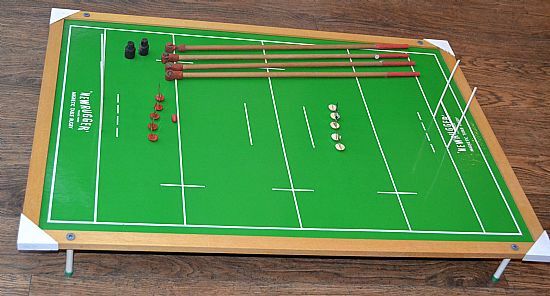 Lovely pitch and goals but paddles and players. Ball has a ball bearing inside it. Beautifully finished pitch with nice high quality goals. Nicely moulded goals, standard players and a super rubber rugby ball. 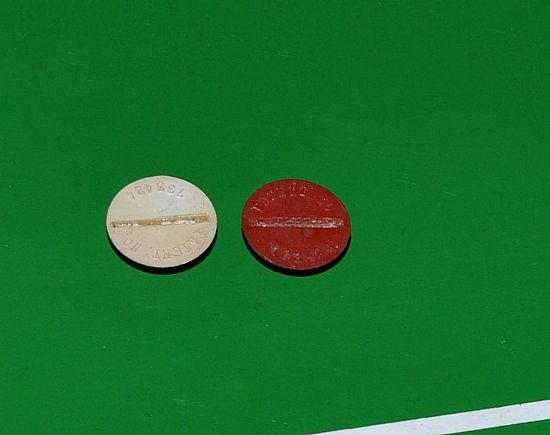 They seem to be standard Newfooty players (without numbers on the back) on a different version of the base. 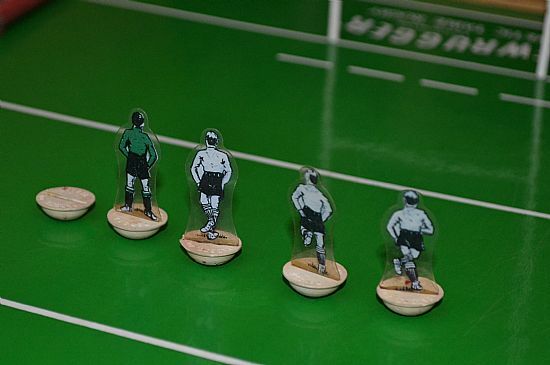 Do you have a single celluloid white top/black shorts player without a number on his back? 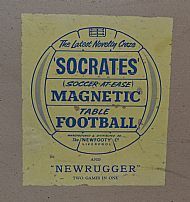 Newfooty bases just marked 'patent no. 733424'. They have a lipped edge and metal insert in the underside.